Wallie Morgan passed away on May 4, 2003. Richard "Wallie" Morgan, born Jan. 22, 1921, Victor, CO. 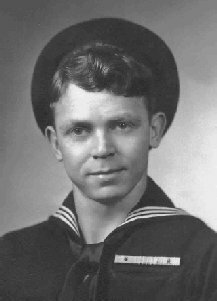 He enlisted in the USN May 13, 1939, at Denver, CO; was assigned to NTC San Diego, May 1939-September 1939; aboard the USS West Virginia, September 1939-December 1941; USS New Orleans, December 1941-November 1942; USS Ute, December 1942-October 1945. After the West Virginia sank he was sent to the Receiving Station and was assigned to deliver sandbags, machine guns, ammunition and decoding machines to various locations. He was assigned to the USS New Orleans on Thursday, December 11, along with friends, Aaron Bagley and Frank Mazejka, also of the West Virginia. He served in engagements from the Coral Sea to Okinawa and also the Aleutian Islands campaign. Discharged in Oakland, CA, November 1945. He and his wife have two daughters, Marie and Darlene; four grandchildren: Melody, Megan, Mallory and Charlene. 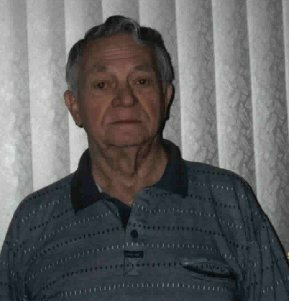 He was an engineer for Pacific Northwest Bell, retiring in February 1983 at Renton, WA.